2. can fill ruit juice, fruit acidity beverage, seasoned sesame oil, soy, etc. The machine is integrated with light, electricity and gas, controlling by PLC with man-machine interface (touch screen). 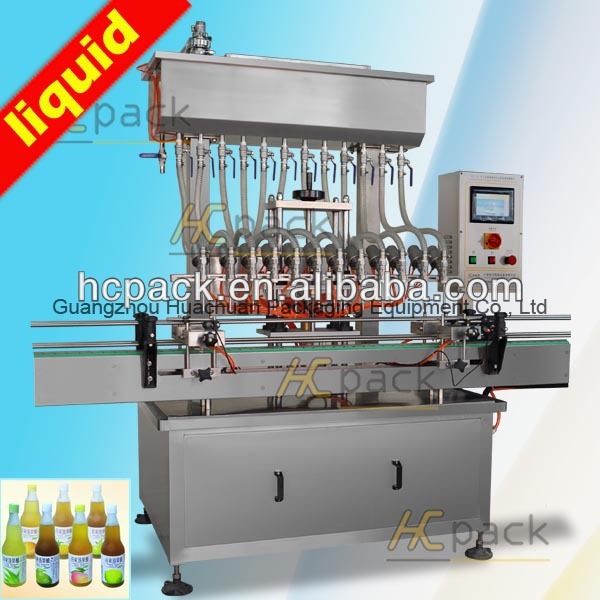 Automatic bottle entering, orientation, filling and bottle out. It adopts orthostichous ordinary pressure type filling, realizing different metering by changing filling time. Do not need to replace parts when changing different shapes of container or adjusting different filling quantity. Material contact parts are made of high quality stainless steel and food grade materials, which is under the food hygienic requirements. It has advantages of high degree of automation, stable and reliable performance, fast production and filling precision, simple operation, easy adjustment, high adaptability, etc. Widely used in filling of various free running liquid (like fruit juice, fruit acidity beverage, seasoned sesame oil, soy, wine, vinegar, etc) in industries of food and beverage, medicine, chemical, pesticide (containing acid, alkali, organic solvents or xylene). l The machine body and frame are made of high quality stainless steel. Parts connects material barrel and filling head adopts food-grade plastic pipe. It is under the food hygienic requirements with concise and easy design, easy to clean. l It is controlled by a programmable controller (PLC) with smart touch screen (HMI). Humanized design makes adjusting filling quantity and modifying various parameters simply, fast and intuitively. l Pneumatic components adopts Taiwan AIRTAC products. 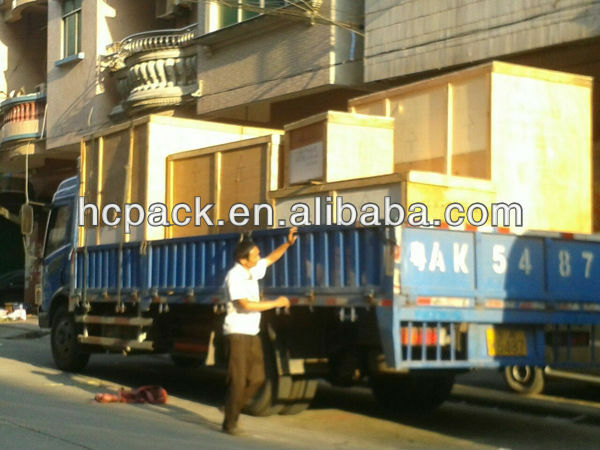 Main electric components are all Japan and domestic high-quality products. Low failure rate, reliable quality, stable and durable. 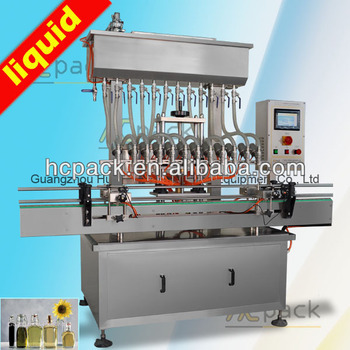 l With functions of no bottle no filling, automatic bottle into and bottle out of, automatic bottle positioning filling and automatic control level. High degree of automation, scientific and reasonable design of filling nozzle ensure filling without dripping. l Sealers adopt ptfe production, acid and alkali resistance, corrosion resistance.